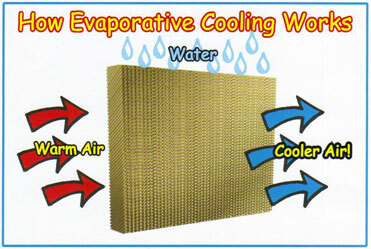 Rigid media is a newer form of evaporative cooling found in single inlet coolers. It is made out of thin, cardboard wafers that are glued together in layers to get the desired thickness. At Aircool, we stock several different sizes of rigid media, including per-cut box sets for Mastercool™, Aerocool™, Ultra-Cool™, Breeze-Air™ coolers. We also carry rigid media for large, industrial-sized coolers. Most importantly, at Aircool we can cut rigid media to your coolers specifications. And, we’ll do it in less than 48 hours!